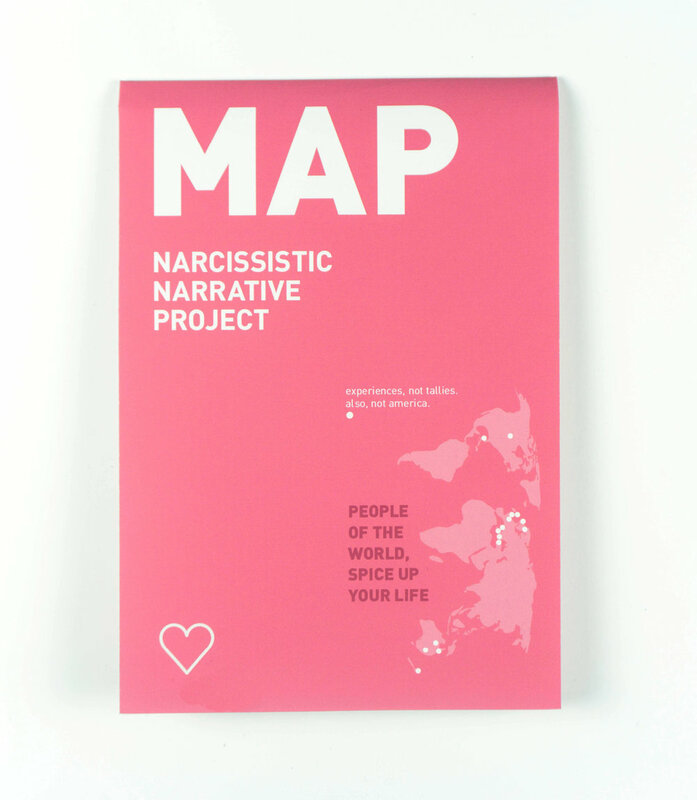 The Narcissistic Narrative Project is a snarky exploration of my own experiences, timeline, and interests. 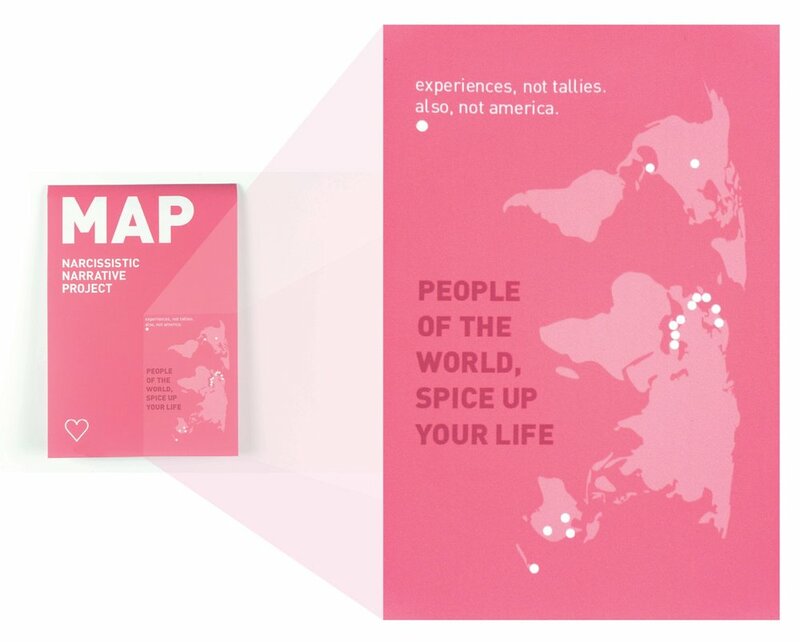 The project aims to help us rethink how maps can be used—as more than just navigating physical space to also include experiences, opinions, and time. Done through mapping locations, playing with scale, rating systems, and the coding of timelines, these five maps tell a multi-faceted story despite the physical constraints of a single sheet of paper. Most of us interact with maps on a daily basis, whether transit routes or GPS on your phone. However, always interested in way-finding systems, I began researching alternative storylines that could be told through maps. Time, ratings, biographies—visual data can be a complex storytelling tool as long as the reader can understand the information. 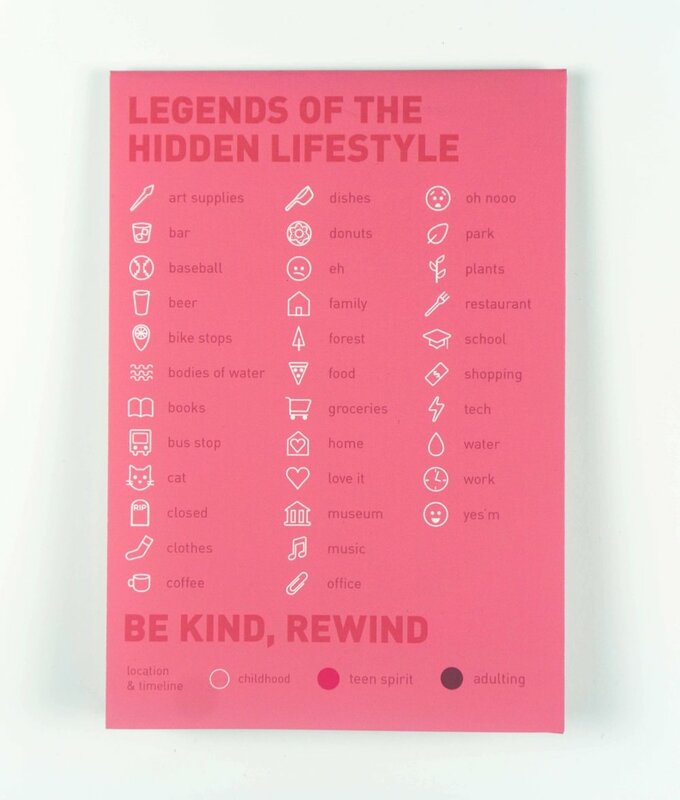 To assist with this legibility, I created an icon system that could represent places, objects, activities, and emotions, as well as a color-coding system to track changes over time. I also wanted the map to be interactive and play with scale, thus the space available to each map is inversely related to the geographic area it’s covering. Map and way finding research. The world map, located on the cover, is the largest geographic area yet takes up the smaller available space. These restrictions dictated the type of information I could share and as a result, I could only legibly mark the various places I have traveled throughout the globe. Upon opening the first fold, there are two maps—each progressively larger despite the narrowing locations. The map of the United States is still rather restrictive in size, but allowed for larger icons. I chose to not just record where I visited, but also how I feel about those places by using my own emojis. Minnesota is large enough to tell a more specific narrative. Important places from my life are identified throughout the state, like the North Woods, where I went to college, where my family lives, and where I have called home. 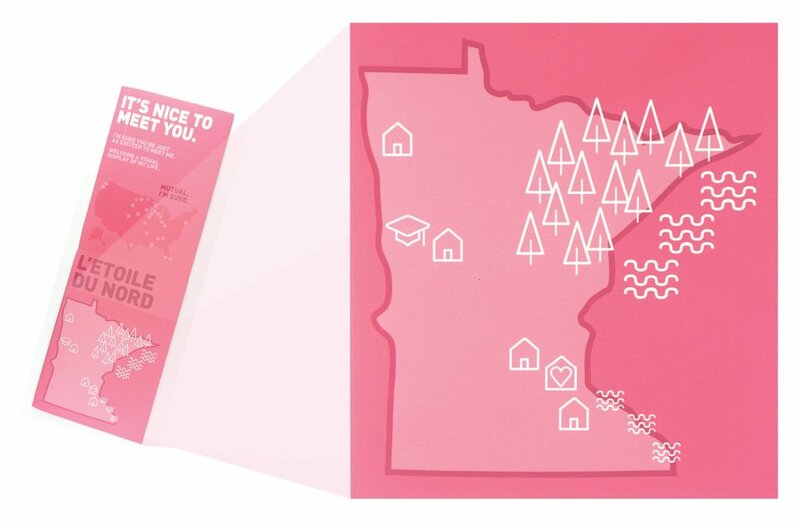 The next fold reveals Minneapolis. A more functional map than others, this level of detail opened new doors for storytelling, yet also created new problems to solve. As a native Minneapolitan, this spread posed a unique challenge—how could I differentiate important places at different times of my life all on the same map? This was resolved by using the same icon system but specifying with different colors. In this map, icons also get more detailed to indicate favorite bike routes, frequent bus stops, and where I like to grab a beer. 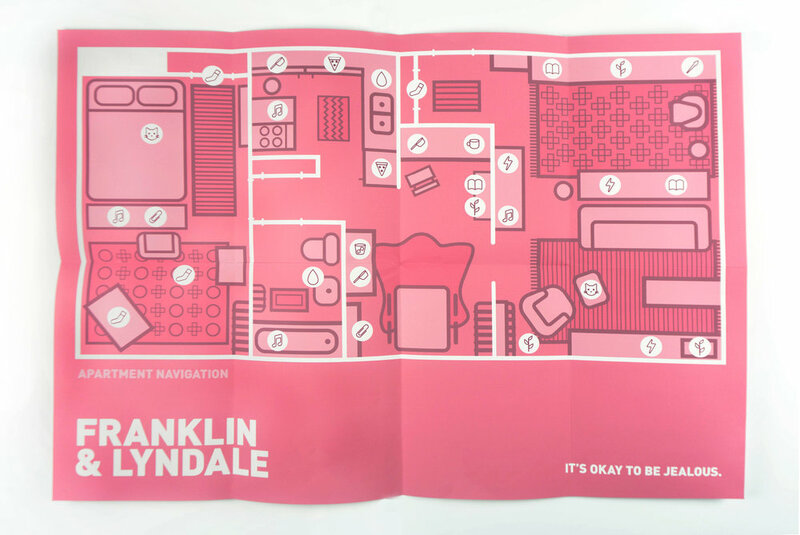 The final map is my smallest corner of the world: my apartment. Not only is this the most detailed of the five maps, it is also the most accurate. In fact, it can be used to find necessary objects around my apartment, locate my cats’ favorite haunts, and point out habits like where I leave my laundry.